19 June 2014, Singapore – Race promoter Singapore GP Pte Ltd unveiled the second Padang Stage headliner for the 2014 FORMULA 1 SINGAPORE AIRLINES SINGAPORE GRAND PRIX today. 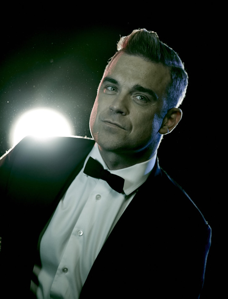 One of UK’s biggest pop star Robbie Williams will perform after the Formula One™ qualifying session on Saturday, 20 September 2014 at the Marina Bay Street Circuit. Returning to Singapore after thirteen years, Robbie Williams will join the spectacular line-up of international headliners who will be performing over the race weekend (19 to 21 September) at the Marina Bay Street Circuit, including MAYDAY, John Legend, Pet Shop Boys and Ziggy Marley. With six albums in the UK’s Top 100 biggest selling albums of all time – he has sold more than 70 million albums – the multi-platinum award-winning pop singer achievements remains unrivalled. Robbie has won 17 BRIT Awards (British equivalent of the American Grammy Awards), including the Outstanding Contribution to British Music award – more than any other artist to date. He has also won a record of 12 ECHO awards by German’s association of recording companies that recognises outstanding achievement in the music industry. In addition, Robbie was inducted in the UK Music Hall of Fame as the greatest artist of the 1990s alongside Madonna and Michael Jackson. As the youngest member of the massively popular English pop group Take That in 1990, Robbie has enjoyed a hugely successful musical career despite leaving the band in 1995. His numerous award-winning solo albums, which include Sing When You’re Winning and Escapology, has propelled the pop star to be UK’s best-selling British solo artist to date. Robbie re-joined Take That in 2010 for a record-breaking tour and album, which became the fastest selling album of the century. Two years later, Robbie released his ninth solo studio album Take The Crown which featured his 14th number 1 single ‘Candy’, the fastest selling single of the year by a male solo artist. His latest and tenth studio album, Swings Both Ways, was released in November 2013. It was 2013 UK’s fourth best-selling album and consists of lead single ‘Go Gentle' and featured popular artistes such as ‘Little Green Apples’ (featuring Kelly Clarkson), ‘Soda Pop’ (featuring Michael Bublé) and ‘Dream a Little Dream’ (featuring Lily Allen). Entry to the Robbie Williams concert at the Padang stage as well as all other entertainment in Zone 4 is included with any three-day 2014 FORMULA 1 SINGAPORE AIRLINES SINGAPORE GRAND PRIX ticket or Saturday Zone 4 Walkabout Ticket. Tickets for the 2014 FORMULA 1 SINGAPORE AIRLINES SINGAPORE GRAND PRIX are available for sale at www.singaporegp.sg, via the ticketing hotline +65 6738 6738 as well as authorised agents.